John Lavery. the famous Irish and international artist died in Rossenarra House, Kilmoganny, Co. Kilkenny on the I0th of January 1941 . He had been living there since early I940 with the McEnery family as his step daughter Alice was married to Jack McEnery. Alice was the daughter of Lady Lavery, (ne Trudeau) and John had come to live with them because the London Blitz of German bombing was extremely dangerous and he asked Alice in a letter to accept him as “superannuated evacuee”. He painted his last paintings here (Gypsy encampment, 1940) and on the morning he died was planning to paint a picture of the meet of the hunt, the Kilmoganny Harriers. 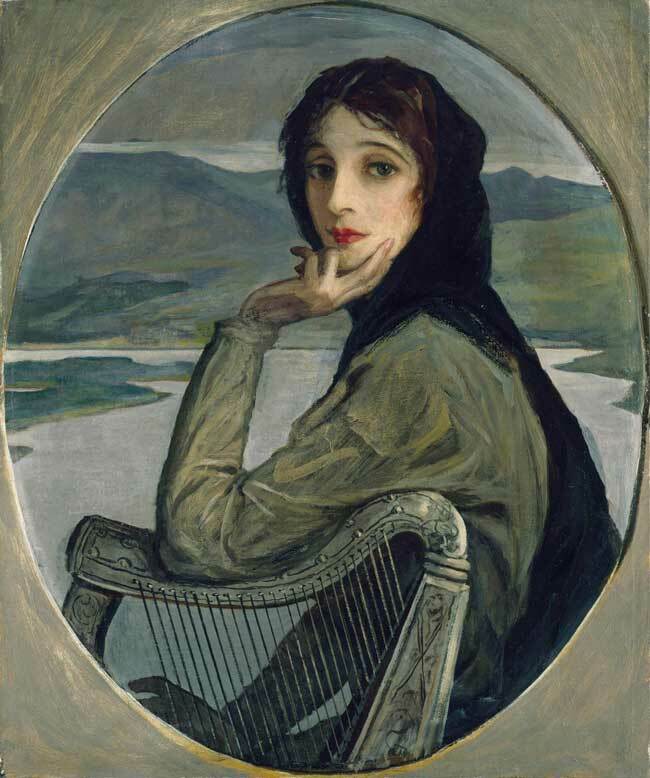 So, who was John Lavery, what were his origins, how had he become a famous artist. what was his influence on Irish Affairs. It should be noted that John Lavery, was a freeman of both the Citv of Dublin and the City of Belfast. The only person ever to hold such high distinction. How did all that come about and why is it that the Laverys are almost written out of Irish History, even though Hazel Lavery, John’s wife, adorned our Irish Currency for over fifty years. To begin with John Lavery’s childhood was unusual to say the least and in many aspects dysfunctional. Born on St Patrick’s Day, 17/03/1856 in North Queen Street, Belfast he was Christined by ‘Fr. George Conwav on the 26/03/1856 in St. Patrick’s Church. His father Henry was of rural stock from the southern shores of Lough Neagh and his mother Mary Donnelly was from Armagh. They’ choose to go and set up a public house in rapidly expanding Belfast and apparently the venture was a failure and Henry set sail for NewYork, on 27/04/l859 to start a new life for his family. Tragically the ship, the Pomona. foundered off the coast of Wexford, sank and 386 people were drowned including Henry Lavery. Within three months of this event his mother also died reasons unknown leaving John an orphan along with his elder brother Henry and sister Jane. They were split up with John going to Uncle Edward who farmed in Moira, Co. Down and lived with his wife Rose in quite a substantial regency Georgian house. Then inexplicably at the age of ten he was dispatched to a rich cousin of Rose’s in Salcoats, Ayrshire. Scotland who ran a pawn shop. Happy or not there. he ran away from home at the age of 15 and was homeless in Glasgow for awhile before being returned to Salcoats and then Moira, Co. Down where he spent two further years in the rural idyll. Around this time Lavery was introduced to drawing and gained proficiency in copying from engravings so that his first job on returning to Glasgow was as an apprentice re-toucher to the photographer in the Glasgow Herald with a salary of £10 per annum. His new wealth allowed him to enrol at the Haldane Academv of Art. the fore runner of the Glasgow School of Art. As an artist. this was the beginning of Lavery’s education and training which later would include London and France in particular but also many other locations. In his second year at the Haldaue he bought his first paint box and also said to his teachers that he wished to become a portrait painter. He pursued his art with a ruthless commitment which was to last all his life and lead to an enormously prolific output. He was so engrossed that he failed his sister who was in deep trouble with a deteriorating marriage and a second pregnancy. She committed suicide by throwing herself off the Stockwell Bridge into the Clyde and Lavery was not only horrified and devastated by the tragedy but also felt guilty. In 1935 he painted a large posthumous portrait of Jane from a photo taken in 1876 and this became the first illustration in his autobiography ‘The life of a painter’ published in 1940. The Lavery’s lived at 5 Cromwell Place London” a regency house in lashionable South Kensington opposite the Victoria and Albert Museum. John the successful artist, Hazel his wife a society star item and the most famous hostess in London at a time when the social life revolved around house parties/dinners. Their wide circle of friends included the prominent politicians artists. writers and the theatre going set. From 1909 on John & Hazel became the ‘Posh & Becks’ of London society and regularly mixed with the great and the good. A neighbour was Winston Churchill whom Hazel taught to paint, a gift he was eternally grateful for, for the rest of his life as it was an antidote to his ‘blackdog’/depression. He became an accomplished painter. What is not generally known is that in l9l3 she first met Michael Collins who was very much part of the Irish theatre set in London (encouraged by his literature mad sister Hannie whom he lived with). Along with others including Sam Maguire and Padraig O’Connor many an evening was spent in Cromwell Place. Most commentators except Meda Ryan (Tim Pat Coosan. Sinead McCoole) state the) only met during the Treaty negotiations. Her adoring male admirers included Asquith, the Prime Minister. Lord Londonderry and Sir Shane Leslie. Leslie’s wife infuriated by her husbands undisguised adoration formed a Husband Protection Society! Always interested in lreland it was Hazel who suggested to John that he create an ‘lrish collection’ and his first portraits were of Edward Carson and John Redmond in 1916. She referred to herself as a simple Irish girl’ and John of course was an Irish Catholic. Their first visit together to Ireland was in 1913 to Lord and Lady Kenmare in Killarney House. The motivation of the collection and their on-going interest and involvement in Ireland was to bring reconciliation to both sides. Protestant Unionist and Catholic Nationalist. The advent of the l9l6 rebellion in Dublin shocked them as many others but within three weeks of the executions John had pledged his support for the interned and on a commission from Mr. Justice Darling painted the trial of Sir Roger Casement. He received huge criticism for this. Lord Birkenhead describing it as ‘in the worst possible taste’ Hazel attended the trial and was profoundly affected and became passionately concerned with Irelands welfare thereafter. In l9l5 Hugh Lane, a nephew of Lady Gregory was drowned when the Luisitania was torpedoed off the Cork coast and she organised artists including Lavery to see that Lanes’s art collection came to Dublin. It is now the Hugh Lane Gallery in Dublin and Lavery donated many of his paintings to it. After the general election of l9l8 when Sinn Fein got over 75%of the votes and established the first Dail, the scene was set for the War of Independence (1919 – 1921). Ireland had not been represented at the 1918 Versailles Treaty even though the Americans had indicated their desire for them to be there as the war ( l9l4- l9l8) had ostensibly been fought for the freedom of small nations’. Lloyd George Torv Prime Minister of the UK. (the ‘Welsh Wizard’) had got everything he wanted at thc conference and when it was over felt free to turn his military might including the ‘Black and Tans’ and auxillaries free against the upstart break away Irish. He reckoned with out the single minded steadfastedness of the Irish people, the ability of DeValera to woo the lrish Americans in the long tour of the US, or the military genius of Collins whose spy network penetrated to the very heart of the British Empire even up to Lloyd Georges office. Collin’s agent Moya Lewyellen-Davies had access through her husband who was Lloyd George’s solicitor and chairman of the British Post Office. Hazel personally had a meeting with Lloyd George to plead Ireland’s case but she was suspicious of his attitudes. She wrote a letter to her old friend Winston Churchill then Minister for War stating that “The removal of the ‘Castle’ and all its works leaving lrishmen to settle their own affairs is the only solution left.” Touring Ireland in October 1921 at the height of hostilities they saw the destructive effect of the conflict – the Martyn “farm and the rest of lreland are going to be wiped out”. John received death threats from both sides. They failed to meet Collins whom John wanted to paint for a portrait. Back in London Terence McSweeney died on hunger strike and in December the government of Ireland Act was passed setting up the Northern Parliament. Around this time Hazel became a Catholic. John and Alice alreadv were and Alice quipped ‘Why do you want to become a Catholic? You are such a bad Protestant’. A truce was agreed in July 1921 and the Lavery’s offered the use of their home as “a neutral ground where both sides might meet”. In July DeValera. Griffith. 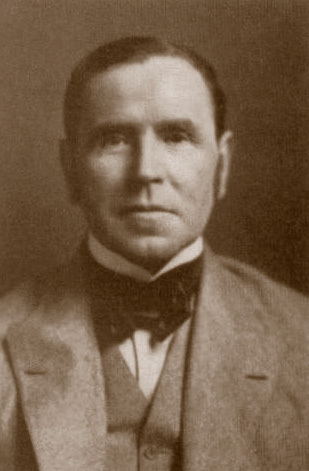 Barton. Stack and Childers went to London for talks and DeValera met Lloyd George four times but they made little progress. DeValera wanting a Republic, Lloyd George offered only Dominion Status. John did portraits of DeValera and Griffith. On the l0th of August l92l the Irish Cabinet officially rejected the proposals. In September DeValera accepted an invitation for new talks and a new delegation led by Griffith went over Collins was included against his will but joined Griffith. Childers” Barton. Duggan and Gavin Duffy. He stayed separately in Hans Place protected by his squad. negotiations started in October and official sessions during the day were complimented by unofficial sessions in the evening in theLavery’s home. John had started painting portraits. Collins sat for him on l6th of November. Hazel and Sir Shane Leslie met privately with Lloyd George for talks on the issues. All of the lrish delegates except Childers visited the Lavery home and Collins and Lavery met each morning at mass at 8.00am in Brompton oratory. Their old friendship renewed. They became exceptionally close and rumours in London hinted at a love affair. There is no evidence of this thev were ”soul mates rather then bedmates” according to Shane Leslie’s wife Anita. He used Hazel as an agent in the sense that he wrote frequentlv to her with some instruction but it was couched in friendly semi romantic prose which he did with all his agents who were by and large female. Hazel showed these letters around thus fuelling the affair idea’ with the negotiations becoming critical, Lloyd Georges skill as a negotiator and manipulator came to the fore and he outrageously tricked Griffith into signing up for the boundarv commission telling him it would sort out the North South problem. Hazel knowing that the Dominion status was all that was on offer urged Collins to “take what you can get now, and get the rest later”. She drove him to meet Lloyd George on the 4th of December in Downing Street who talked to him about the Boundary Commission. On the 5th of December Lloyd George waved two letters before the lrish Delegation one for peace and one for war and that he needed an answer by 10.00pm. The Irish Delegation were in a cruel position but at 2 am on the 6th of December they signed the treaty which created a free lreland but not under the conditions they wanted. Lord Birkenhead said to Collins he was signing his political death warrant. Collins replied ‘l may have signed my actual death warrant’- a prophetic statement. He went back to the Laverv home in quite an agitated state where Hazel and John tried to console him. He felt as he stated in the Dail Debate that they had won freedom – ”the freedom to achieve (Republican) freedom” and the Dail voted on the 7th of January 1922 by sixty four votes to fifty seven to up hold the Treaty. DeValera and his followers walked out of the Dail and the task of setting up the Free State Government was left to Griffith and Collins. The stage was being set for Civil War. After the setting up of the Free State opposition to the Treaty intensified and armed groups took over buildings in Dublin as the country drifted into a full Civil War. Free State Ministers went back and forth to London often meeting their opposite member in the Lavery household. ln June 1922 the attack on the Four Courts began the Civil War. The Lavery’s arrived in August 1922 the day after Arthur Griffith died suddenly. They spent a lot of time with Michael Collins now Commander-in-Chief of the Free State Army. They were with him when two attempts were made on his life, once when his car was riddled with bullets and another when a sniper was apprehended in the grounds of The Royal Marine Hotel in Dun Laoghaire. Within a week Collins was dead, shot at Beal-na-blath near his home in Cork. On his body was a book of Rossetti poems with a letter from Hazel in it. Hazel was distraught. John painted two great paintings ‘love of Ireland’ and ‘Pro Cathedral Dublin 1922’ . He continued to paint porlraits of all the main figures on both sides including Lloyd George. Back in London 5 Cromwell Place was still the official headquarter for Irish Political and artistic personalities. George Bernard Shaw” Oliver St. John Gogarty, Shane Leslie and many others. Interesting the MP and Fenian Stephen Gwynn and his son Denis were there also. Denis, a pupil of Patrick Pearse was to become a professor of history in UCC. He later became Alice’s second (1963) husband after the death of Jack McEnery in Rossenarra, Kilmoganny in 1957. Alice was of course the daughter of Hazel from her first marriage to Dr. Ned Trudeau, a surgeon in Bellview Hospital. New York who had died tragically, from a pulmonan embolus four months after their wedding. 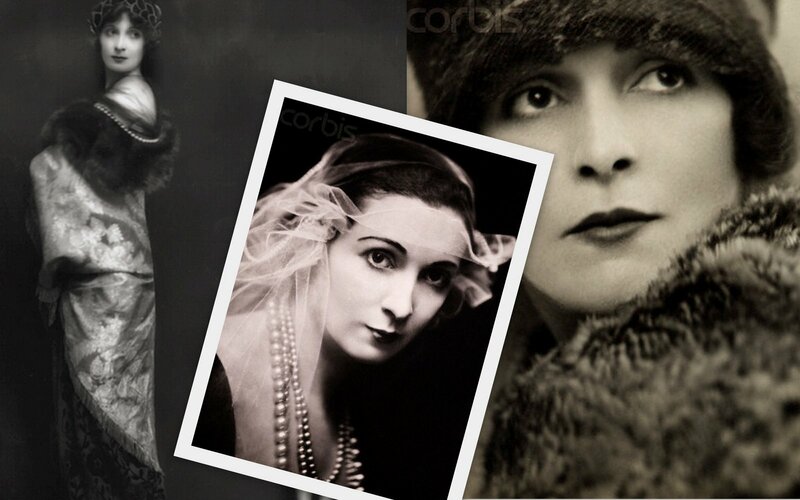 In the 1920’s and 1930’s John and Hazel maintained their high profile celebrity status in London while all the time being available to help out with Irish issues. John was considered for Governor General but rejected it out of hand as ‘absurd’- he was a painter first and last. Tim Healy got that job. However, John was appointed by the Currencv Commission to design the new lrish currency and he used Hazel’s image as the Motif in the Irish banknotes where it stayed for over fifty years. He continued to paint north and south of the border: orange and green people and events. Hazel in London through her close friend Ramsey McDonald now Prime Minister continued to lobby on lrish issues. Her adoring young men known as the ‘Hazel boys’ included some famous names; Brendan Bracken. Randolph Churchill. Evelyn Waugh. Cecil Beaton. John was now very famous as an artist, A member of the Academies of Rome. Paris. Berlin, Antwerp, Milan, Brussels, Stockholm and Spain. His paintings were in collections on five continents. In 1930 he was awarded the Freedom of Belfast and made a Freeman of Dublin in 1935. Hazel died in 1935 in London and is buried in Putney Vale. John was bereft and went to America to paint in Palm Springs before returning to London. He was always very close to Alice and they visited each other. John painted a wonderful painting of Alice, Jack and the family in Rossenarra House. Kilmoganny in 1935. In 1940 he published his autobiography ”life of a painter’ but it was in the vivid visual diary of his life and times that left his powerful legacy to the land of his birth. When he died on the 10th January l94l in Rossenarra his coffin was carried down to St. Eoghan’s church in Kilmoganny and after mass and ceremonies was transported back to London where he was buried in Putney Vale beside his beloved wife Hazel. At his funeral in Kilmogannv the special guest of honour was Liam Cossrave son of the first Taoiseach W T Cosgrave who has been so supportive of John & Hazels work in Ireland during the war of Independence and after. Liam Cosgrove is still alive aged 93 years with great memories of the Lavery’s when they would visit Dublin. Perhaps the next Lady Lavery Society meeting will be addressed by Liam Cosgrave. END. One of the most beautiful women in London at the late 1918/1920‘s was Hazel Lavery, wife of the Belfast-born portrait painter, Sir John Lavery. She came from a branch of a well known Galway family, the Martyns, which had settled in Chicago. In 1900 she married Sir John Lavery who was nearly twice her age, and became one of London’s most-talked-of society hostesses. …of Hazel’s achievements in bringing about the Irish Treaty of 1921 I know no historical comparison save the Princess Dorothea de Lieven’s diplomatic cleverness amongst the statesmen of the drawing room in bringing about the Treaty of London in 1827 by which the Powers recognised the Independence of Greece. It was from her salon which was also her husbands studio that Hazel set out to inveigle English and Irish statesmen from the summits to descend and know each other personally as well as politically. Many such as Winston Churchill and Lord Birkenhead or Michael Collins and Arthur Griffith had reason to remember number five Cromwell Place (an ironical name for omen) during the twenties.